Empower Yourself! Sign up to Receive our FREE eBook! Acupuncture is a form of therapy that promotes your bodies natural self healing process by stimulating specific points on the body. This is done by various methods such as needle insertion, moxibustion, acupressure, cupping, or gua sha. Imbalances are corrected through the stimulation of points and removing blockages in the channels. Acupuncture enhances your immune system, detoxes your body, improves cardiovascular function and boosts adrenal activity. Acupuncture is a branch of of Traditional Chinese Medicine which originated in China over 5000 years ago. It is used to treat a wide range of conditions, however pain relief. is the most common. As an increasingly popular form of healthcare, It is a safe and effective natural therapy for adults, children and animals. Acupuncture works by increasing the body's natural healing response through the stimulation of acupressure points throughout the body. On the first visit there will be an initial exam with a full health history. You will be asked questions regarding your chief complaint, symptoms, health, attitude, diet and lifestyle. Your acupuncturist will check your tongue, pulse, and palpate during the physical exam. Needles can vary in length and are about the size of a cats whisker. Once the needle is inserted you may experience a number of sensations such as numbness, tingling, dull aches or heaviness. These sensations may move about or stay in one area. A deep sense of calm or a feeling of being energized may overcome you. For your first appointment, be sure to wear loose comfortable clothing and eat something at least one hour beforehand. Your first appointment will last a little over an hour with all other appointments lasting up to one hour. The first half of the appointment will be a thorough interview process as we discuss the main reasons for your visit and all else relating to your health, past and present. I will then take your pulse and look at your tongue, two tools I use for diagnostic purposes. We will end the session with the acupuncture, in which the needles are retained for about 25 minutes. There's a heat lamp, music, and dim lighting. It's very relaxing and most of my patients fall asleep for a restorative power nap. The benefits of acupuncture start immediately. After your first treatment you could experience an excellent night of sleep, higher energy, more focus, less stress and a reduction in pain. Many conditions may be alleviated very rapidly by acupuncture and Oriental medicine. However, some conditions that have arisen over a course of years will be relieved only with slow, steady progress. As in any form of healing, the patient’s attitude, diet, determination and lifestyle will affect the outcome of a course of treatment. Patients are encouraged to actively participate in their healing process. According to the World Health Organization, the National Institutes for Health, and clinical experience, Acupuncture is useful in the treatment of a wide variety of medical problems and health concerns. Click button below for a list of some things that can be treated with acupuncture. Acupuncture needles are engineered so precisely that usually a very mild sensation is felt, if any at all. The needles are about the size of a cat's whisker or the diameter of a hair. Once the needle is inserted you may experience a number of sensations such as numbness, tingling, dull aches or heaviness. These sensations may move about or stay in one area. A deep sense of calm or a feeling of being energized may overcome you. Most patients report feeling deeply relaxed and often have instant pain relief. There are very few adverse reactions to acupuncture but in some cases your condition may be temporarily exacerbated following the treatment. This is a sign of detoxification and is considered to be a good thing. Soaking your feet in Epsom salts and hot water and getting in plenty of fluids and nutrition will ease the healing process. Yes. We love children. We treat all ages from prenatal and newborn to adult. Children who are younger usually need a shorter treatment time and fewer overall treatments than the average adult. About 20-30 minutes is all that is needed for a great treatment. Older children, teens and some tough cases may need a longer treatment time, more treatments a week, or more treatments overall. Being that acupuncture is safe and natural, children usually respond well to treatments, enjoy their personal time, and look forward to the next one. Other modalities besides acupuncture, such as moxa, tui na and gua sha, are used on younger children with needles being introduced as the child grows and becomes accustomed to oriental medicine. This will vary depending on your severity of pain, your diagnosis, and your response to the treatment. Treatments usually start out twice a week for the first week or two and then once a week for 5-8 more weeks. On average 8-10 treatments, give or take a few depending on your personal circumstances. This ensures that the healing occurring in your body sticks and there is no need to start at at the beginning every time. Even when you are relatively healthy, it is a good practice to see your acupuncturist once every season, so that they may balance you & realign your internal system to operate at optimal. By seeing your acupuncturist four to six times a year you will be preventing imbalances, which cause disease and sickness. Yes. 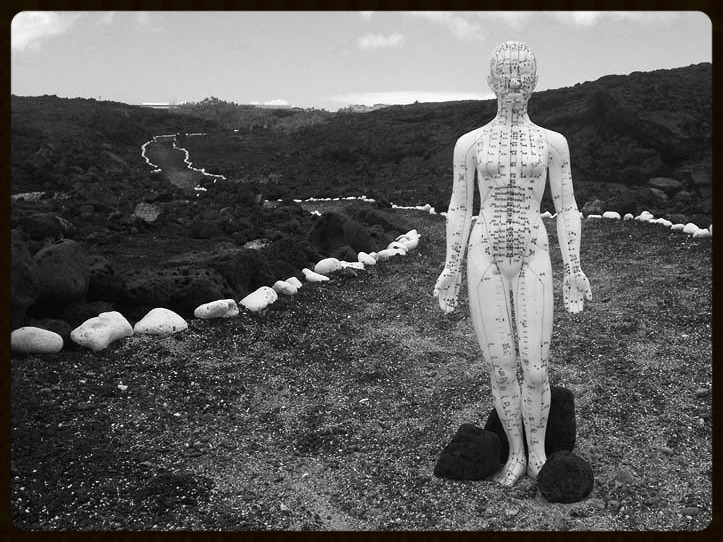 The state of Hawaii has strict guidelines in order to practice acupuncture. It requires a minimum of four years of study in a graduate degree program and then passing the National Board Examinations. The L.Ac. M.S.O.M. after my name stands for Licensed Acupuncturist and Masters of Science in Oriental Medicine. We have a variety of prices and options. Please click below to go to pricing page to view our treatment prices and services. At this time we do not take insurance. Instead we offer different types of treatments. You can come in for private sessions or community acupuncture. Community acupuncture is the insurance type of treatment at a reduced rate, in a quiet relaxing room with others. Where as a private session is 1 on 1 with the patient and allows more time and flexibility to get to the root of the problem and issues. To book an appointment simply click below to go to our appointment page. During business hours of 9-5 monday thru friday you can call 808.638.3343. You can also send us a message through our contact page at any time. You can also go straight to our appointment page. Easy.